Please download the CREATE US Open Qualifying Criteria for more information on qualifying and attending the 2018 CREATE US Open event. Please download and have all participants and volunteers complete the CECFC Consent Form prior to arriving at the competition. Full refund if cancelled by 11/30/17, minus the $5.00 RobotEvents fee which is non-refundable. After 11/30, we will refund only if there is a replacement team on the wait list who actually participates in the event. The event will be cancelled if news stations advise staying home. We will post on both http://fortcollins.coloradoearlycolleges.org/ and on http://www.action-works.org assuming the weather isn't so bad as to lose power. can be organized as two volunteers each taking a 2-hour slot). We are in need of both full and partial day volunteers. Volunteer slots for most positions are 2-hours in length. two half-day or three 2-hour slots. Referee (need 8 half day, ok to volunteer for these in 2 hour chunks). Questions can be directed to collin.turbert@cecfc914.org at any time. Text/Call (208) 713-1463 if you have questions that need quick answers. 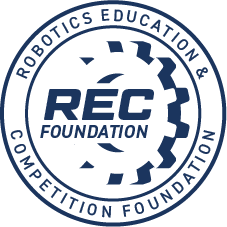 Thanks for registering for the 2018 CECFC VEX IQ Ringmaster Robotics Competition! Completed/signed consent FORMS (note there are 2 of them) for all participants (students, volunteers, mentors and participating adults) must be turned in during check-in. Team leaders will need to collect the completed forms for all participants attending the event and turn them in to the registration desk when checking in. Both forms are available on the Documents tab. The first is the Participant Consent Form and the second is the CECFC Tournament Consent Form. Each participating team must provide at least one volunteer for all or a portion of the day. Volunteers should send email to collin.turbert@cecfc914.org with your preferred event volunteer position(s) with your team number if you are volunteering for a particular team. We will assign positions based on the order of arrival of your email so volunteer early to get your number one choice. Volunteers should plan to wear a RED shirt so that you can be easily identified. A pre-order form will be sent to each registered team for lunch. In addition, CECFC will have various drinks and snacks available for preorder and purchase. This event is sure to be a fast paced and exciting event. All teams should come prepared for competition. Here are a few steps that every team should take to ensure they are ready. Review rules and run through the inspection checklist (see Documents tab). Prepare your interviews with the judges. At checkin time, each team will be given an interview time slot. Interviews will start immediately after arrival so have your robots ready to unpack and be presented to the judges. Remember that safety comes first, please don't bring tools that pose a safety risk to your team, or others nearby as the venue is a very tight fit. Also, remember no grinding or other actions that create sparks inside the high school building. Understand how the game will be played. 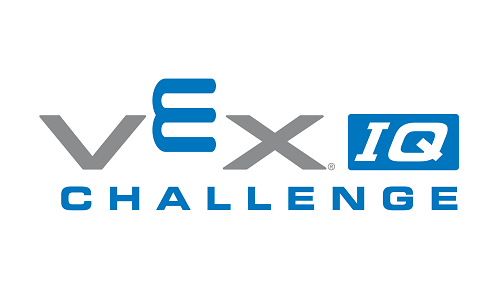 VEX participants are more than welcome to watch the referee training videos before they attend a tournament. Ensure that you have the latest version of firmware. Read through the robot troubleshooting guide and follow the directions about setting up your robot during the competition. Following the directions will avoid issues with the robots and the controllers. Cell phones must have WIFI disabled during the event to avoid interference with the competing teams.